CRBA Public Meeting Next Tuesday! 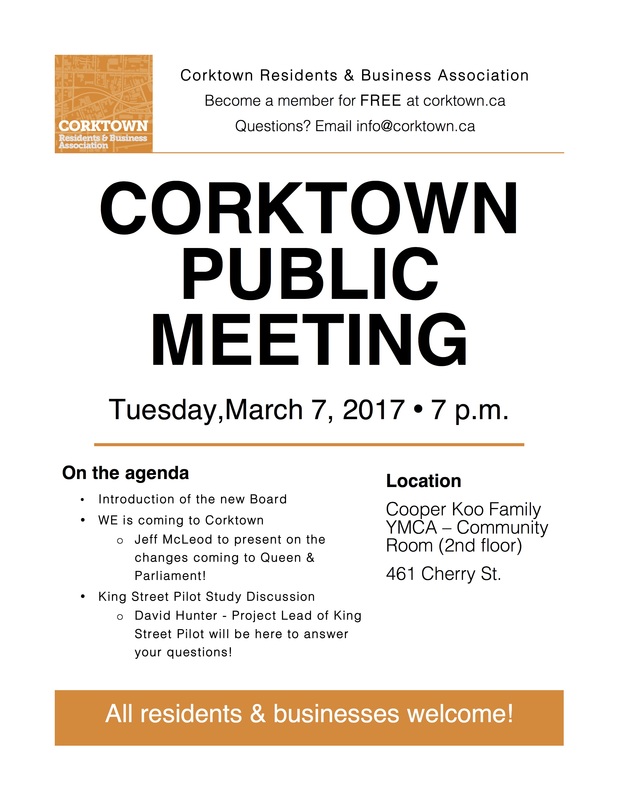 It is a great agenda this month where we will find out about WE’s plans for Queen and Parliament and learn more about the King Street Pilot and how it will affect all of us! See you there! 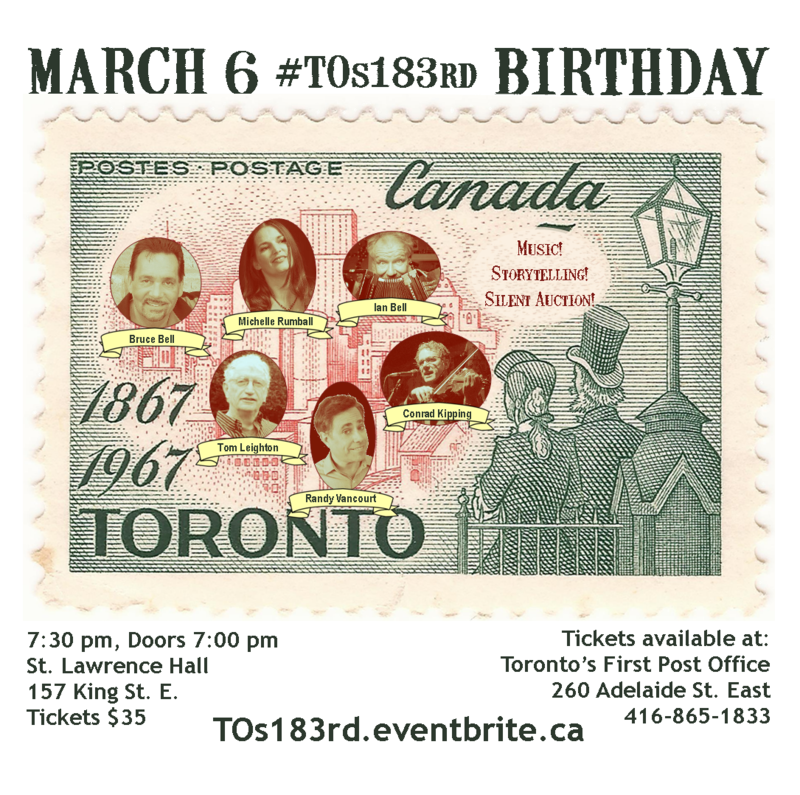 March 6th is Toronto’s 183rd Birthday! The Town of York Historical Society will be celebrating with an evening of stories, music and even a silent auction. This event is a fundraiser for Toronto’s First Post Office, a museum and National Historic Site. For more information and to buy tickets, check out their website. Making Peace is a major outdoor photographic exhibition curated by Ashley Woods (Nobel Museum), that pays tribute to the people who‚ all over the planet, devote their time, energy and resources to the cause of peace. These notable persons and organizations have shaped and influenced the course of the 20th century in very important ways. The exhibition will be on display along the Front Street Promenade from May 13-September 24, and is accompanied by a free Educator’s Guide that allows students to learn about the ‘5 Key Elements of Peace’. There will be a Teacher’s Evening at which they will share their educational resources for making this part of your curriculum. Where: Cooper Koo Family YMCA, 461 Cherry St.
eNewsletter: ParaPan Am Games are coming, Music in the Park at Little Trinity & Riverside Walks!